Victoria Ginn & Stuart Rathbone (eds.). Oxbow books, Oxford, 2012. xv+301pp. 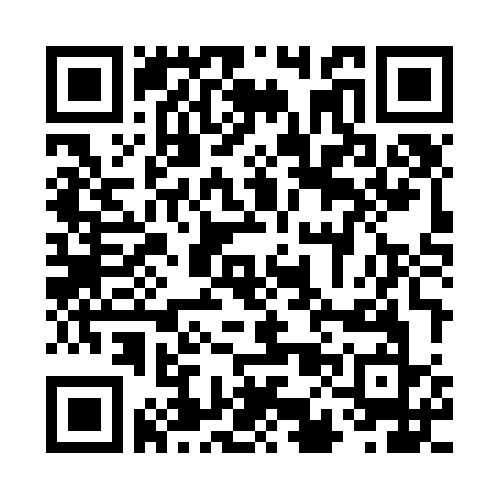 ISBN 978-1-84217-464-7. £26.95 (via Oxbow) or £33.25 (via Amazon). Corrstown: A Coastal Community presents the results of the excavation and analysis of 76 Bronze Age structures excavated by Archaeological Consultancy Services Ltd. during 2002 and 2003. Along with the well-publicised Bronze Age village, an Early Christian rath and rock-cut souterrain were investigated, together with the recovery of a small collection of Neolithic pottery. Chapter 1: Introduction sets the scene, outlining the development-led background from geophysical prospection, surface collection of artefacts and test-trenching. This led to further test-trenches and eventually, in October 2002, an excavation directed by Malachy Conway. What was initially regarded as a small prehistoric settlement and an Early Christian rath, grew and grew with every further area topsoil stripped. 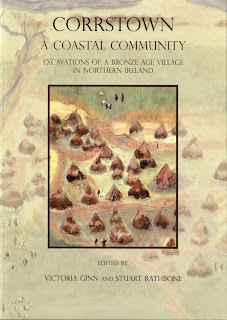 The authors put it best: “After several weeks of topsoil stripping it was clear that the settlement consisted of many more buildings than could have ever been expected and the site was of far greater complexity and scale than had been previously envisioned for the Irish Bronze Age.” I would commend section 1.2: Surprising results to readers alone for the eloquent (and expletive free) description of what life on a development-led excavation is like in Northern Ireland. The houses (74 of them, plus two W-shaped structures) ranged from circular to oval in plan and most produced large quantities of pottery. Some of the houses were of the well-known construction type, defined by a slot-trench and containing internal structural postholes (Type 2). However, the majority of buildings at Corrstown were of a previously unrecognised type where wide, segmented ditches and multiple pits and postholes formed no easily recognisable pattern (Type 1). Several consisted of concentric rings in this manner and one appeared to stand within a deep, horse-shoe enclosure. Many of the roundhouses had long, sunken porches with cobbled floors. Some houses were connected to each other with similarly sunken and cobbled pathways. A roughly cobbled road (70m, by 10m wide) ran through the eastern portion of the site, while a second, unpaved, road is postulated, based on the absence of features along the western side of the site. Tantalisingly, the cobbled road runs out from the village, beyond the limits of the development. The fact that these houses were connected by paths and that only a small number of structures overlapped each other suggests that the houses are broadly contemporary. This is further confirmed by 24 radiocarbon dates from 22 of the houses, showing a defined cluster in the Middle Bronze Age (c. 1700-1200 cal BC). Taken together, this is the first indisputable evidence for an actual Bronze Age village in either Ireland or the UK. The recovered artefacts were, understandably, dominated by those things that survive best: pottery and lithics. Over 9000 sherds of pottery were recovered. For its size alone, this is an exceptional assemblage, but a previously little-known form of Middle Bronze Age coarse ware – derived from the Cordoned Urn tradition - has been identified within it, adding to its significance. The volume of recovered flint was so large that only estimates of its size may be made – over 16,500 pieces (509kg for secure contexts and a further 63kg from non-stratified contexts). Similar to the pottery, this is one of the largest Bronze Age assemblages ever recovered from an excavation on this island. Other significant finds included four stone moulds, two polished axe heads, and a polished mace head. The Early Christian portion of the excavation (easy to forget when bracketed together with such amazing discoveries) included the full excavation of the rath and rock-cut souterrain, along with an unusual rectangular structure and a kiln. Chapter 2: Excavation results summarises the findings and gives detailed definitions of the Type 1 and Type 2 structures. This is followed by a detailed gazetteer of the structures. The authors are to be complimented for providing clear, readable results in a consistent format. The description of each structure is accompanied by a full page (A5) plan and occasional section drawings or profiles. While I would have liked to see more section drawings, it must be remarked that the plans are of the highest quality and, like the written descriptions, are clear and consistent. Weighing in at 143 pages, this is easily the largest part of the book. I cannot stress how valuable this is – it represents the original data that all subsequent interpretations of the site depend on. I am sure it would have been attractive (even ‘easier’) to present a synthesis of the site that omitted this primary data. However, as times progress and scholarship inevitably moves on, the primary data will still be available for future re-interrogation and reinterpretation. This approach has been a personal obsession throughout my archaeological life. Admittedly, I am normally chastised for writing in this way, so when I see other writers obviously engaged in the same project, I do wish to applaud their efforts. In Chapter 3: Material Culture and Environmental Analysis the authors note that all the recovered artefacts were manufactured from locally available sources and, while they demonstrate that the community here was a vibrant, thriving place, there is no evidence for contact with the wider world. The first specialist analysis is Maria O’Hare’s examination of the lithic assemblage. She concludes that the assemblage, despite its size, is typical of domestic contexts from the Irish Bronze Age. The most common tool types produced include utilised pieces and scrapers (both formal and ad hoc types). Flaked and more formal tools were also present, but in much smaller quantities. Helen Roche and Eoin Grogan explain that this is the single largest collection of Middle Bronze Age pottery yet found on this island. This represents a minimum number of 492 vessels: nine Early Neolithic bowls and 483 Middle Bronze Age vessels. The Neolithic vessels are pretty standard and can be paralleled with numerous sites, including both domestic (e.g. Ballygalley, Ballyharry & Ballynagilly) and burial sites. The dispersed nature of the evidence across the site is taken to suggest that there had been some small-scale domestic activity in the Neolithic, but that this had been largely disturbed during the main period of Bronze Age occupation. Almost all of the houses produced Bronze Age pottery, though the quantities ranged dramatically, from as few as six sherds up to 711 sherds. The majority of the vessels (386) were plain, but some (97) possessed some form of decoration, most notably cordons. This suggests that the vessels derive from the funerary-based Cordoned Urn tradition, though their recovery from domestic structures is significant. Based on the work of Anna Brindley (2007), Roche and Eogan argue that the funerary version of the Cordoned Urn dates to the period 1750-1450 cal BC, but that the domestic version continues in use beyond this, possibly as late as the beginning of the Late Bronze Age (c. 1250 cal BC). The importance of the Corrstown assemblage is that it allows the re-dating of this form of relatively well-made plain vessels from the Late Bronze Age back into the latter portion of the Middle Bronze Age. While the authors note that this has serious implications for the dating and interpretation of many sites, they note that, in purely ceramic terms, a number of sites dated to the Late Bronze Age solely on the presence of coarse pottery may need to be re-examined. Eoin Grogan also contributes an analysis of the stone artefacts. One miniature axe head, five large axe fragments, and one small flake were recovered during the excavations. Unfortunately, the large fragments were all recovered from the topsoil. The miniature example was recovered from a secure context within structure S37. Grogan sees all the axes recovered as being paralleled within the Irish series and argues that all relate to the Neolithic phase of site use. However, given the relative size of the Bronze Age settlement, it may well be justified to reinterpret the evidence in light of Jolliffe’s (2010) research, where he argues for the evidence of polished stone axeheads being made during the Bronze Age. The perforated macehead (of Largs-type) was made of gabbro and was recovered from a posthole in structure S1. Four stone moulds, all of dolerite, for the casting of bronze artefacts were recovered. These included part of a mould for a palstave, two for the casting chisels, and one for a ribbed, bladed implement, currently unparalleled in the excavated record. Stephen Mandal also contributes a brief note on the stone types and their probable sources near the site. Örni Akeret contributes a note on the recovered seed types. He notes the absence of chaff in the samples, but cautions that this may have been due to a recovery bias at the flotation stage of sample processing. The range of cereals identified is seen as typical of this period: with a dominance of barely and, in particular, naked barley (Hordeum vulgare). While approximately 150 barely grains were recovered from one stakehole in structure S58, only a single rye grain was recovered from the entire site. Akeret suggests that the rarity of rye on this site and others suggests that it occurred as a weed, rather than as a cultivated crop. A small number of wheat grains (Triticum) were also recovered. A number of these could be further identified as emmer wheat (Triticum dicoccum). A further table gives all the primary information regarding cereal types and the features they were recovered from. In a final note on this chapter, I would like to draw attention to the excellent artefact photography by John Sunderland – it manages to fulfil my personal dictum for all archaeological photography: it should be archaeologically informative and aesthetically pleasing. Chapter 4: Analysis of the Corrstown Site provides the overarching synthesis of the site, drawing on the primary data presented in Chapters 1 and 2. Detailed discussions are presented on the Type 1 structures, examining individual components of the structure’s morphology, including walls, entrances, drains, etc. The Type 1 roundhouses are broken down into several types, including single segmented ditch roundhouses (1A), concentric segmented ditch roundhouses (1B), conjoined concentric segmented ditch roundhouses (1C), freestanding structures (1D), small abutting structures (1E), and undetermined segmented ditch roundhouses (1F). Only six structures fall into the category of the Type 2, narrow slot roundhouses. While in the minority here, they are the most common type found elsewhere and a comprehensively paralleled with other excavated evidence, including Kilmurray, Co. Wicklow, Lisheen Site A, Co. Tipperary, and Ballyrennan, Co. Antrim. This is followed by a detailed note on the reconstruction drawings of Type 1 and Type 2 houses by Ella Hassett. The authors explain how the drawings were produced after detailed discussions between artist and archaeologists. They go on to discuss such variables as roof coverings and slope, along with the whole host of necessary compromises, guesses and speculations that are required to produce such drawings, but are not recoverable through excavation. I have written before of the importance of this form of discussion, where the process of reconstruction is dissected and becomes a further means of interrogating the excavated data and the assumptions we place upon it. An analysis of the rebuilding cycles at Corrstown, where individual buildings appear to have been continually rebuilt on the same spot, are interpreted in terms of the sequential replacement of a single homestead. Somewhat fewer than 50% of the Corrstown houses appear to have been rebuilt, with the extent of such renovations running from major overhauls to complete rebuilds. The authors suggest, based on a number of strands of evidence, that the Corrstown houses may have had life spans ranging from 30 to 80 years. Although fraught with difficulty, the authors bravely attempt the caveat-laden procedure of producing an estimate of the Corrstown population. While various means of calculating an estimate produced results from 200 to 1400 people living in the village during its peak, the authors prefer the lower population range of 200 to 300. In any event, they point out that, even at the lowest estimate, the Corrstown population would have been far above that of any previously known Bronze Age settlement in Britain or Ireland. As noted above, on page 7 of the introduction there is a reference to 24 radiocarbon dates from 22 roundhouses. However, on page 231 it is clear that there are some 33 radiocarbon dates listed – the reason for the difference appears to be that the additional dates have been carried out as part of Victoria Ginn’s PhD research. This may seem like a minor point to bring up, but it does demonstrate that although the report is written and the book is published, the research goes on. Four further Early Christian dates, taking the total to 37, are listed separately in a table on page 292. All of these are new to the IR&DD Catalogue [come and 'like' the IR&DD Facebook Page]. Unfortunately, the charcoal samples for original batch of 28 dates were not identified as to wood species. The authors raise the possibility that some of these included old-wood samples, making the dating less reliable that would be desired. It is a minor point, but one worth noting that the authors perpetuate the belief that oak wood should not be dated as it is likely to be significantly older than the feature being dated – one sample was dismissed for dating precisely for this reason. Instead, selection of samples should be focused on identifying short-lived, single entity items, including charred twigs and sapwood etc. (Chapple 2008; 2010a). In this way, even taking dates on oak would be ‘safe’ and eliminate the possibility of the ‘old wood’ effect. Although not the fault of the authors, it is worth noting that the current requirements for post-excavation work in Northern Ireland do not demand the identification of wood to species prior to radiocarbon dating. I believe that a change in this policy, while not eliminating all the caveats of radiocarbon dating, would bring much more clarity and robustness to the process. I am delighted to see that the curve (IntCal09) used to calibrate the dares is included, though it would be nice to have had the name and version of the computer software used included too. However, one personal bug-bear that I would like to see eliminated from archaeological writing is the inclusion of the lengthy reference to the publication of the IntCal calibration curve directly associated with the radiocarbon dates. In this volume it is included beneath both tables of radiocarbon determination on pages 231, 292, and 301. All that is required is a note to indicate the curve used and the reference (Reimer et al. 2009), while the full citation should be confined to the bibliography. Such minor annoyances aside, McSparron’s analysis of the dates (fully elaborated upon in Appendix I) identified three main phases of activity. Taken together, the returned determinations demonstrate that the Corrstown settlement was founded around 1500 cal BC, most likely after 1460 cal BC. This Growth Phase lasted up to 260 years. The Village Phase commenced around 1360-1270 cal BP and lasted for 35-155 years. A final Decline Phase began after 1150 cal BC and lasted from 80-300 years. This analysis, based purely on the radiocarbon data, is supported by the spatial organisation of the village, indicating that the most central structures were among the earliest etc. McSparron’s analysis also indicates that there was no abrupt beginning or end to the village – it appears to have started with one or two structures and grew organically. Similarly, the evidence points to a long, slow decline as opposed to any cataclysmic destruction of the village. 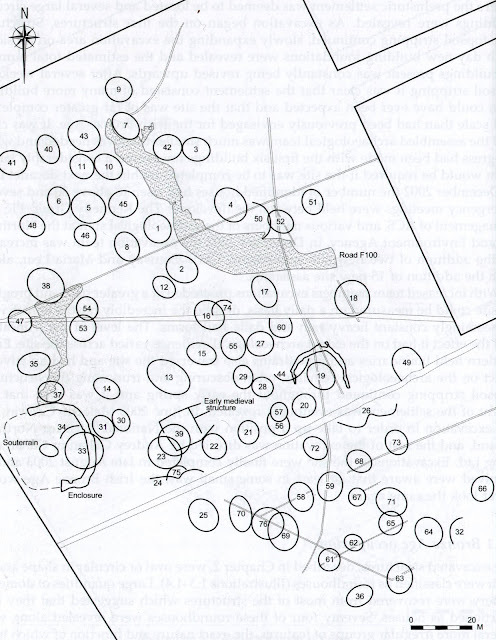 A spatial analysis of the village indicates that the northern and southern portions of the site appear to have been organised in different manners, suggesting that they developed at different times. The northern portion is characterised by pairs or small groups of structures, while the southern side is generally formed on three well-laid-out lines of buildings. This is further supported by the artefact analyses and the radiocarbon determinations. Further sections examine the domestic unit and the significance of the roads and pathways. Chapter 5: From Inception to Abandonment first attempts to place the Corrstown village within its landscape setting. This is followed by an examination of the evidence for the diet of the villagers. In the absence of surviving animal bones, this short section relies on the recovered charred seeds. Like many excavated sites on this island, the agrarian economy appears to have been centred on barley production. An analysis of the orientation of building entrances shows a pronounced, but not overwhelming, orientation towards the south-east, similar to many other excavated Bronze Age and Iron Age houses. Although functional concerns, such as avoiding the prevailing winds are one possibility for this decision, other factors may have included cosmological concerns and deliberate alignments on such phenomena as the midwinter sunrise. The evidence for structured deposition in the form of foundation deposits or closing offerings is assayed. While the placement of a pot base in a pit in the entrance of structure S58 and the macehead from S1 may be easily interpreted in this way, other deposits may be more difficult to reconstruct. One possibility is that, at least some, of the charred barley recovered from the site was intended as ritualised deposits. This bears some similarity with my own excavations at Site 19, Gransha, Co. Londonderry (Chapple 2010b). Here a series of atypical cists – broadly contemporary with Corrstown - held only a few unidentifiable scraps of bone, but produced many thousands of charred barley grains. The authors also suggest that structural deposition of pottery may have taken place in the ditches surrounding some of the houses. Again, this is paralleled at Gransha, where the surrounding ditch appears to have been used for selective deposition of both pottery and flint. The discussion on this point is well worth reading in depth for its balanced approached to this contentious area. Other sections examine the place of the roads and movement of goods and people into and out of the village, along with the evidence for burial at this period. The question of the decline and abandonment of the village is the last section in this chapter. Although the possibility of abandonment due to the environmental effects of the Hekla 3 eruption is assessed, it is discounted in favour of other aspects of climate change. These include the several episodes of colder or wetter weather that occurred in the period from the 16th to 6th centuries cal BC. This is backed up with evidence from pollen analysis of Gary Bog, Co. Antrim, and Gortcorbies, Co. Londonderry, and is also set in the wider context of population decline throughout Ireland, Britain and the Mediterranean world. Chapter 6: Corrstown in context first attempts to fit this unparalleled site within the economic and social landscape of the north coast. The authors assess the archaeological situation of the 1990s where there was much speculation as the density of prehistoric settlement in the area, but relatively little evidence to support it. More recent excavations, such as Crossreagh West, Crossreagh East, and Cappagh Beg, etc., have radically altered this perception. The authors also note that the excavation in a field adjacent to the Corrstown site, in Magheramenagh townland, produced similar structures and dates. For these reasons, they regard it as part of the Corrstown village settlement. The Magheramenagh excavation was undertaken in a number of phases from 1999 to 2000, and I was present for one of these during 1999. While I was there we excavated a rock-cut souterrain, a suspected Neolithic house (that later turned out to be Early Christian) and a spread of Neolithic pottery. Unfortunately, the site remains unpublished; though the five radiocarbon dates from the site are available (Chapple 2008). A number of my photographs (scanned from slides) from that phase are also accessible to the public. Further discussion places the village within its island-wide context and attempts to evaluate the status of the settlement and how it should be categorised. Beta-186549 1130±40 BP 780-992 cal AD Charcoal (unidentified) from fill of post-hole (Cut 52, Context 53) in arc of post-holes/circular house (Area 1). Beta-186551 1260±40 BP 668-869 cal AD Charcoal (unidentified) from fill of southern wall-slot (Cut 63, Context 64) of rectangular structure (Area 1). Appendix III: Cappagh Beg, by Steve Linnane and Victoria Ginn, details a further set of excavations carried out by ACS in Co. Londonderry. The features excavated here may be interpreted in terms of two or three houses, two boundary ditches and a cremation pit. Structures A and C are interpreted as houses Bronze Age type. The absence of internal features at Structure B is taken as evidence that it may never have been roofed, and possibly for ritual use. This is a charming little theory, but I see no particular merit in it. Two radiocarbon determinations place the site use in the period from the 11th to 15th centuries cal BC. The authors note that although large quantities of flint and pottery were recovered here, none of it has been analysed. While this report is a valuable interim statement, I would hope that arrangements could be made to fully research and publish this site. In the forgoing review I have detailed some problems I see with the volume. I realise that these are pretty-much in the order of nit-picking and only obsessives like me worry about these things. I have only one criticism that rises above this level of minor irritation, and even still it is not significant. The colour plates of the artefacts are, as I have mentioned above, excellent, but I would dearly have loved to see some colour photographs of the site. Obviously, such considerations come down to the cost of production, but I cannot help but think that a couple of the photographs of the stone axes could easily have been sacrificed for some general shots of the excavation. I was lucky enough to visit the Corrstown excavation during 2003 and took a number of candid shots of the excavation in progress. For the benefit of anyone who wishes, these are now available for public viewing, as are some shots from the Magheramenagh excavation. Even taken together, my short list of minor criticisms should in no way be seen as detracting from the achievement of this excellent book. It is a remarkable piece of scholarship – each aspect of the site is well described and discussed and parallels are sought to put each in its place within the corpus of excavated sites. This is a remarkable feat on its own, given the complexity of the evidence, not to mention the plain fact that the Corrstown site simply rewrites most of what we thought we knew about Bronze Age settlement in these islands. As I have noted above, there is a strong commitment to making available the primary data so that future researchers may re-examine and reinterpret this site. 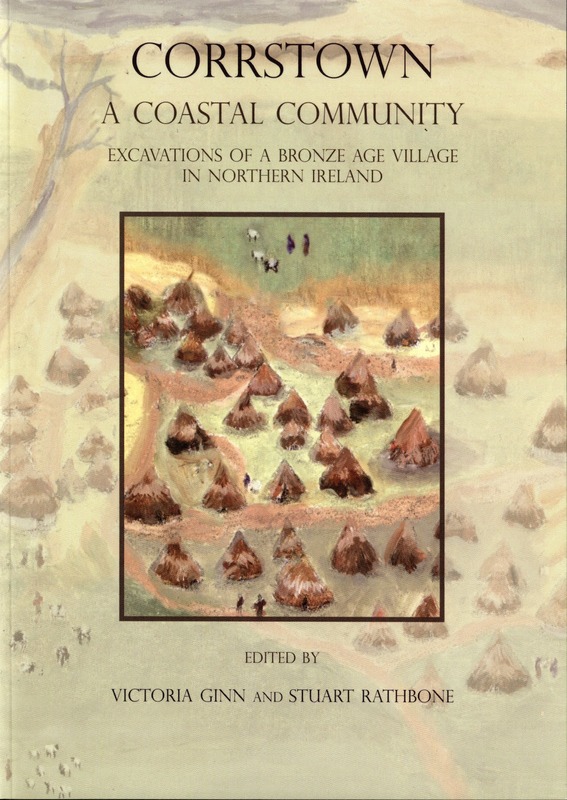 One line in the blurb on the back of the book probably illustrates the importance of this site better than anything else: “It is intended that this volume represents a beginning of the study of the Corrstown village”. As I said above: although the report is written and the book is published, the research goes on. It is not simply that, if you are interested in the Irish Bronze Age, you should have this book in your library – you must have it. Brindley, A. L. 2007 The dating of food vessels and urns in Ireland. Galway. Chapple, R. M. 2010a 'Just an expensive number' Archaeology Ireland 24.2, 29-31. Chapple, R. M. 2010b The excavation of an enclosed Middle Bronze Age cemetery at Gransha, Co. Londonderry, Northern Ireland. BAR British Series 521. Oxford. Jolliffe, T. 2010 Archaeology of the Upper Witham Valley: Prehistoric visitors, Iron Age settlement and a Romano-British Landscape dominated by a new villa. BAR British Series 524, Oxford. Reimer, P. J., Baillie, M. G. L., Bard, E., Bayliss, A., Beck, J. W., Blackwell, P. G., Bronk Ramsey, C., Buck, C. E., Burr, G. S., Edwards, R. L., Friedrich, M., Grootes, P. M., Guilderson, T. P., Hajas, I., Heaton, T. J., Hogg, A. G., Hughen, K. A., Kaiser, K. F., Kromer, B., McCormac, F. G., Manning, S. W., Reimer, R. W., Richards, D. A., Southon, J. R., Talamo, S., Turney, C. S. M., van der Pilcht, J. & Weyhenmeyer, C. E. 2009 ‘IntCal09 and Marine09 radiocarbon age calibration curves, 0-50,000 years Cal BP’ Radiocarbon 51.4, 1111-1150. In Part I of this post, I outlined the background to the original project run in conjunction with Craughwell Community Council and FÁS to ‘clean-up’ and document the graveyards of Killora and Killogilleen. I also described a relatively coherent group of six vocational gravestones, belonging to blacksmiths, farmers, a shepherd and a carpenter. In this post I want to look at a number of other stones from the two graveyards. To be honest, there is little that binds them together other than the fact that I think that they are interesting and deserve to be better known. Fig. 17. Overview of Cloonan stone. Fig. 18. Detail of central roundel on Cloonan stone. The upper portion of the stone is decorated with large roundel bordered with a moulded rope design along its inner edge (Fig. 17). The external edge has a wide border of stylised, false relief foliage. The upper half of the roundel bears two winged cherub heads in high false relief set at angles to each other (Fig. 18). Below these is a false relief ‘IHS’ monogram with a cross with arms patonce, a head pommel, fitched, springing from the lozenge shaped cross-bar of the ‘H’. The tops of the letters ‘I’ and ‘H’ are in a similar design to the terminals at the arms of the cross. To the left of this is the false relief hand, dexter (of St. Peter) holding a key. Fig. 19. Detail of memento mori and St. Michael on Cloonan stone. The upper left hand portion of the stone bears a skull and crossbones, or ‘memento mori’, followed by a winged and naked Archangel Michael, in profile, in the process of walking, and blowing a trumpet on “the day of judgement”, standing on a torse (Fig. 19). The upper right hand portion of the stone bears a set of scales of judgement (Psychostasis), tipping to the right, along with a false relief rosette (Fig. 20). I would argue that this series of symbols may be interpreted as a linear narrative moving from death to the ‘last day’, moving to the judgement, and finally to salvation, here symbolised by rosette. One further possibility is that the central roundel represents heaven, with Jesus (represented by the HIS monogram), the angels, and St. Peter. Fig. 20. Detail of scales and rosette on Cloonan stone. The main decorated area of the stone bears a representation of a ‘temple’ like structure, carved in low false relief (Fig. 21). It is formed of two vertical pillars, each with a single-stepped and moulded base and a single stepped and double-moulded head. On this rests a large lintel, the left and right edges of which are stepped diagonally upwards from the heads of the pillars. The body of the lintel is decorated with a hatched pattern, formed of crossing diagonal lines. Both the upper and lower edges bear what appears to be incised, horizontal foliage patterns, but are too lichen covered to be definite. Above the lintel a “JHS” monogram sits in a semicircle sunburst composed of contiguous semi-circles. 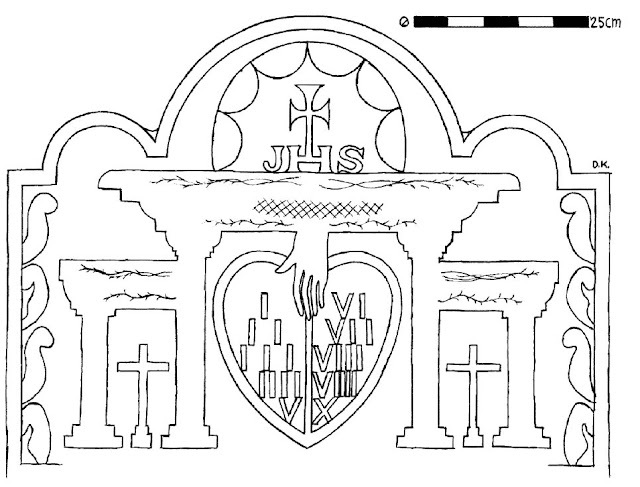 The “JHS” has a cross patteé, fitched springing from the cross-bar of the ‘H’. Two smaller pillars support more diminutive lintels on either side. Like the main lintel, these too are decorated with very lightly incised foliage motifs. The areas below the smaller lintels each bear a small, false relief Latin cross calvary on two grieces. Layout lines are visible above and below the lower bands on both the left- and right-hand sides. Fig. 21. Overview of Gaughigan stone. Illustration by Damien Kavanagh. A false relief ‘Dexter Dei’ protrudes from the centre of the bottom edge of the large ‘lintel’ and overlies he upper portion of a large heart. The heart, carved in false relief, is borne in the central area, below the large lintel and between the main pillars. It has a raised rim along all edges and an atrium, in the same style, is carved vertically from the nadir to just below the outstretched fingers of the ‘Dexter Dei’, thus dividing the heart feature in two. The left-hand side bears the low false relief Roman numerals: I, II, III, IIII and V, from top to bottom. The right-hand side bears the, similarly executed, numerals: VI, VII, VIII, VIIII and X, also from top to bottom. It seems most likely that these numerals represent the Ten Commandments (Exodus 34:28 “And he was there with the LORD forty days and forty nights; he did neither eat bread, nor drink water. And he wrote upon the tables the words of the covenant, the Ten Commandments.”). The ‘temple’-like structure may represent that of Solomon (1 Kings 5:5 “And, behold, I purpose to build an house unto the name of the LORD my God, as the LORD spake unto David my father, saying, Thy son, whom I will set upon thy throne in thy room, he shall build an house unto my name.”). While I don’t want to delve too deeply into the theological implications of this scene, I would see the central message as the Ten Commandments (Old Testament) being at the heart of the Christian experience. However, the presence of the various crosses may be taken to state the primacy of Christ and the New Testament. In particular, the “JHS” monogram in the sun-burst, resting on top of the temple structure is a direct statement of this belief of the New Testament being literally and metaphorically, above the Old Testament. Fig. 22. Overview of anonymous stone 16[5?]4. Illustration by Damien Kavanagh. 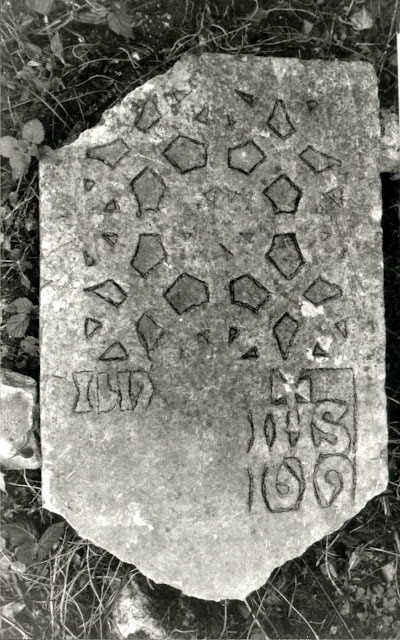 The last two stones I want to look at are both from the 17th century and are, respectively, the oldest dated examples in each of their graveyards. In Killogilleen, the better preserved of the two, is a worn and weathered, recumbent limestone slab (0.54m wide x 1.79m long) (Fig. 22). There is no formal inscription, but the entire upper portion of the stone is carved with a double-banded, low relief latticework based on the intersection of lozenge, saltire cross, and Greek cross shapes with a central circle. The four sides of the panel where these features intersect are marked by semi-circles, while the corners are marked by quadrant-circles. Extending from the base of this decorated cross head is a low relief shaft, terminating on a base of three grieces. Approximately, half-way down the length of the shaft, on either side, is a small, rectangular panel carved in relief. Each is uninscribed and undecorated, though may originally have been painted. 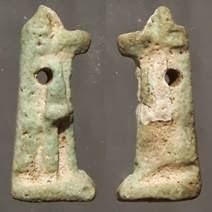 Above these, at approximately one-quarter length down the shaft, are two low relief “IHS” monograms, one placed on either side of the shaft. Each bears a cross patteé, fitched, springing from the cross-bar of the ‘H’. Below this again, to the left of the cross shaft, are what appear to be the much worn, relief numerals ‘1’ and ‘6’. To the right of the shaft is a very indistinct carving of what appears to be a relief number ‘5’, though it could be a ‘1’, followed by a much more distinct number ‘4’, also carved in relief. At Killora, lying loose inside the church, is the broken upper portion of a similar stone. The surviving part measures 0.91m long x 0.58m wide and is carved with a relatively loose, false relief latticework based on the intersection of lozenge, saltire cross, and Greek cross shapes (Fig. 23). The four sides of the panel where these features intersect are marked by semi-circles, with a central circle. Each of the corners also bears a quadrant circle. 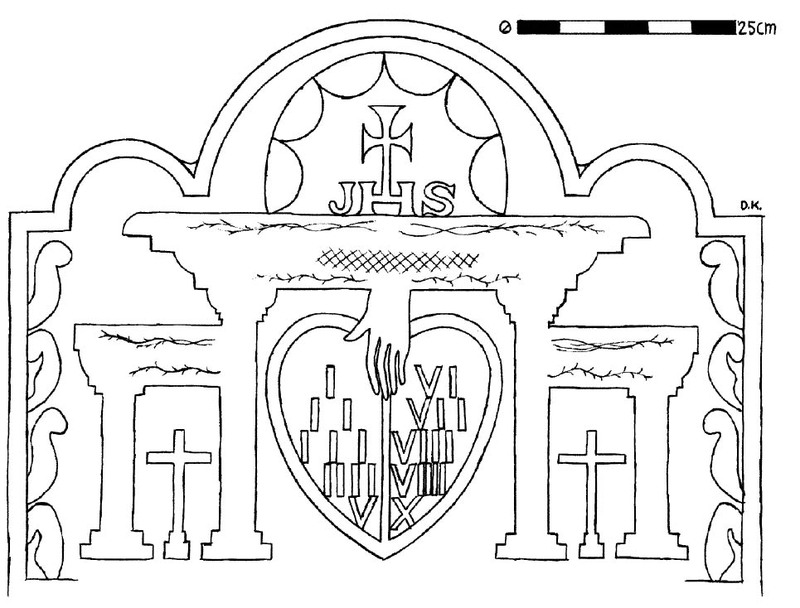 Beneath this, on the right a small low, false-relief rectangular panel bears an ‘IHS’ monogram with a small cross with expanded terminals springing from the cross-bar of the ‘H’. Beneath this, the year 1619 is plainly visible. The date is repeated, in less easy to read low false-relief, below the left-hand portion of the decorated panel. Some aspects of the carving give the impression that the stone was left unfinished. These include a number of the triangular sections between the intersections of the circular portions and the straight bands are left uncarved, the outlines of some being only lightly incised. Similarly, the ‘6’ in the left-hand version of the date ‘1619’ is also unfinished. However, it is likely that this was originally painted, thus the outlines of the design were all that was necessary. The closest parallels to this stone are to be found at St. Nicholas Collegiate church, and at Kilcorban (Pers. Comm. Mr. J. Higgins). Fig. 23. Overview of anonymous stone 1619. I think that my criteria for selecting these stones – that I like them and feel that they deserve to be better known – are perfectly valid. As the reader it is also acceptable to ask why I think that they are special and deserve to be written (and read) about. The simple answer is that, in the grand scheme of things, they are not particularly special at all. If you take the time to walk through any old Irish graveyard you will find something of interest. Some of the stones you will encounter will be ‘better’ than these – the quality of the carving will be more impressive, or they will be of a ‘rarer’ type. Nonetheless, I feel that the ubiquity of these stones can be seen as providing tangible links to the wider issues and movements within national historical narratives. Much of the thrust of ‘local history’ has, to my mind, been focused on separating the local community from broader historical themes. While I have not attempted to make these connections explicit within the text, there are a number that may be validly exploited by other researchers. For example, the use of interlace on the early/mid 17th century ‘Gaelic Revival’ slabs is a physical link to a resurgent Catholic population, drawing on historical themes and decorative devices to create a narrative of Irish nationalism in the period before the Cromwellian wars. Both the Cloonan ‘Resurrection’ narrative and the ‘Temple of Solomon’ on the Gaughigan stone can be read in terms of interactions between popular ornamental styles and canonical theologies. As such, they go beyond the borders of this island and form part of a much larger conversation on the dynamism of pan-European ecclesiastical reform and conservatism. Elements of this story include the cultural and political ties and tensions between Catholicism and the established church. Obviously, the vocational stones discussed in Part I are of an interest beyond their carvings. 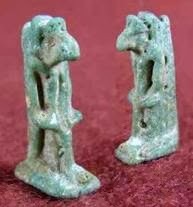 They can provide mute testimony not only to the diversity of economic activities carried out in the area, but to the fact that such activities were sufficiently lucrative to allow such expensive stones to be commissioned. As I have demonstrated, some of this coarse detail provided by the archaeological evidence is backed up with historical records, but more frequently it is not. In these instances archaeology stands alone in being able to communicate the past to us and our place in the present. And yet, for all ways in which one can abstract them, I still return to this collection first and foremost as one who enjoys the beauty and simplicity of their carvings. I maintain that these are a group of fascinating gravestones that should be better known to both the people of Craughwell and to the wider world. I also believe that anyone with the time and energy can go to their local graveyard and find interesting memorials that not just link them to their own place, but are part of much wider trends and narratives in national and international history. I would like to take this opportunity to express my thanks to the following who have given generously of their time and knowledge: Mr. P.J. Callanan, Secretary, Craughwell Parish Council; The librarians and staff of The James Hardiman Library, NUIG; Galway County Library; and Island House, Galway County Library Headquarters; Professor E. Rynne; and Mr. Jim Higgins. No amount of thanks can repay my wife, Jeanne, for the hours she has spent standing in cold, windswept graveyards; for time spent advising and proofreading and especially for her understanding when it may appear that my devotion to her is momentarily eclipsed by gravestones.